The idea of a face peel makes some people recoil – maybe it’s the words ‘peel’ and ‘acid’ that sound so gruesome, or perhaps they have confused it with the more extreme chemical peels used in cosmetic surgery. 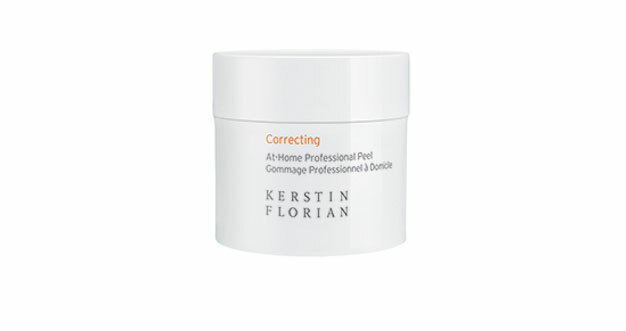 In fact, an at-home peel is a relatively gentle way to achieve brighter, younger looking skin - far less abrasive than scrubs, for example, which work on a similar principal - with no need to visit a spa or a surgeon. This process activates the skin layers beneath to spring to life, plumping and hydrating cells, smoothing lines and creating a healthy glow. 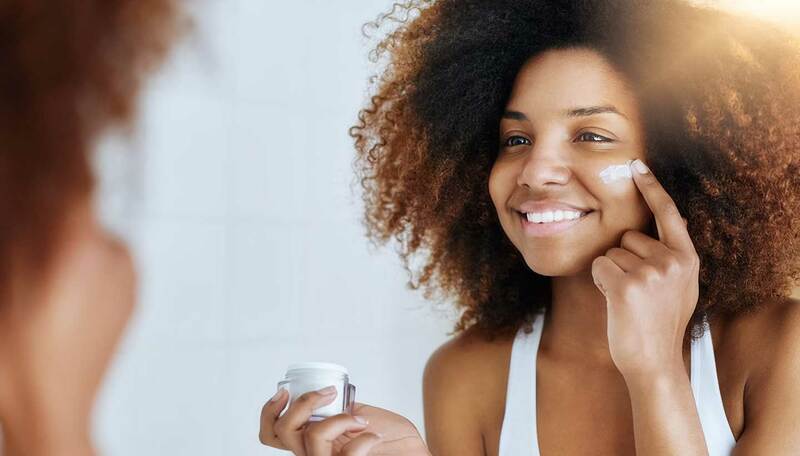 Although home peels are lighter than salon peels, you must wear an SPF after even when it’s cloudy, as your skin will be hyper-sensitive to ultraviolet light and thus more likely to burn. If you want to use a face peel at home, we recommend using reputable spa products, such as the ones we try and test for you below. What’s in it: 40 serious ingredients make up this product: these include Glycolic Acid, Glycerin, Pentylene Glyco, and Salicylic Acid. First impressions: It comes in a white box with black writing all in CAPITALS, and inside a white capped tube with the word CLINICAL in green – this product means business! The gel-like product is also white with exfoliating bits in it. It’s cooling to the touch and smells lovely – light and uplifting. 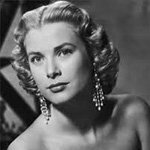 Usage: I used a twenty pence size all over my face and neck, dampening my fingertips with water before doing small circles to exfoliate. I then left the product on for twenty minutes. It felt very fresh and tingly on my face but comfortably so. I removed it with a hot flannel, spritzed my face and applied moisturiser. Effects: Probably the most instant and noticeable results I have had from a product – I looked like I had just had a facial and could easily have gone out foundation free. I got lots of compliments too on how well I looked. Verdict: I have used this product every two weeks for the past two months and still have more than half the product left. Considering I looked like I had just stepped off a treatment bed, for £35.50 I think it is great value. This will certainly be a regular component in my skin care routine. I love it. First impressions: The 50 pre-soaked cotton pads come in a simple, white tub with a twist off top. There’s no gloopy liquids to contend with as the pads are so easy to use. Usage: Simply swirl one around your face and neck, leaving the solution on for 3 minutes before rinsing off with water. I could smell cucumber and the pads felt quite prickly and rough as they worked across the skin - not uncomfortable, just active. I expected to see some redness, or blotchiness, but my skin continued to look even. Effects: Once rinsed, my skin felt clean and really smooth. My fine lines were clearly less apparent and I looked fresh and brighter. There was none of the tightness that can often happen with peels; my skin actually felt hydrated. But I did follow it by a moisturiser out of habit. Verdict: I loved it. You can use it up to 3 times a week and as it’s so quick with such immediate results it’s worth it. It does seem pricey, but you do have 50 applications which is more than you would get from a regular pot of gloop. It doesn’t feel gimmicky as the overall package is very to the point and sleek. No frills, just results. 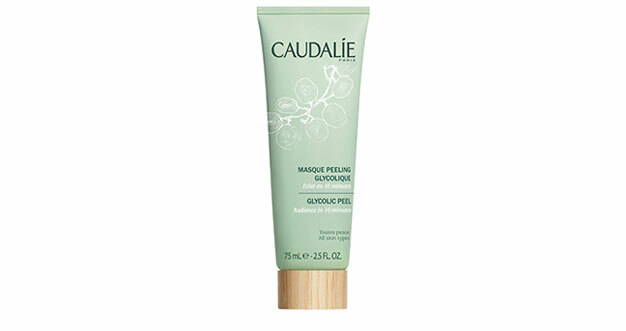 First impressions: It comes in a pale green tube with a wooden twist off top and metal peel. 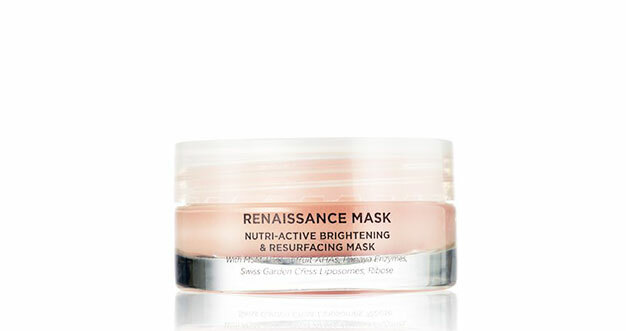 Usage: The mask is a thick, shiny white paste that you smooth onto your face, avoiding your eyes. It’s scentless although I could smell a hint of something mineral. I could feel it gently pinching my skin and a very mild tingling on my cheeks, which I presumed meant it was working and not causing a reaction…! After ten minutes, I removed it with a flannel, and it came off easily. There was no redness or any reaction at all, which is a relief. They say use it twice a week. Effects: Immediately my skin felt and looked hydrated and gleaming, notably better than before, when it looked a bit grey and saggy. Moments later, it seemed to come alive, plumping up. It felt smooth but I noticed the pores on my cheeks were wider than usual. I applied a serum and moisturiser and my skin drank them up. I noticed shortly after that the pores had shrunk away to nothing - my skin looked completely smooth, even and taut. I was rather impressed: I didn’t realise peels were this effective. Later that day, a couple of people thought I was ten years younger than I am! Coincidence? Either way, the effects lasted a few days. Verdict: Would I buy it? Yes, totally. I was delighted with the flattering and long-lasting results, and it’s a decent price for the amount. 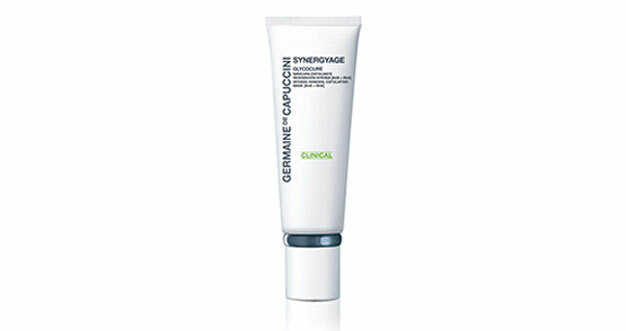 I trust the product to make a dramatic improvement without upsetting my sensitive skin. First impressions: The mask gleams translucent coral pink in its flat glass jar, and smells like a fruit punch served in summer rose gardens. Usage: Resist the urge to gobble it up: instead massage a small amount of the pink gloop in circular motions. Note how it turns white as you rub it in – that’s the AHAs and mineral MSM being activated. It doesn’t feel remotely rough or tingly - perhaps a little warm. After ten minutes for sensitive, 15 for normal, it will turn clear. On the website, it suggests that you can try splashing on some water and give it another rub for one last bio-boost before removing with a damp mitt. It comes off easily in one fell swoop. Effects: My skin instantly felt so satiny smooth, I just wanted to stand there stroking it for a few hours. It looked plumper, less wrinkled, with a wholesome peachy glow. It also left my skin feeling more hydrated and the effects lasted for at least a day or two. What’s in it: More than 50 ingredients, most of which are unpronounceable! The main peeling ingredient is glycolic acid, there’s also myrtle oil for cellular renewal but can also be used to de-pigment the skin, and orange and grapefruit oils give it a slightly citrus-y aroma. First impressions: Murad products are famously non-fussy – the peel comes in a squat, white, pump-action bottle. The product itself is pale and cream, it slicks on easily and is thin enough to simply wipe off. 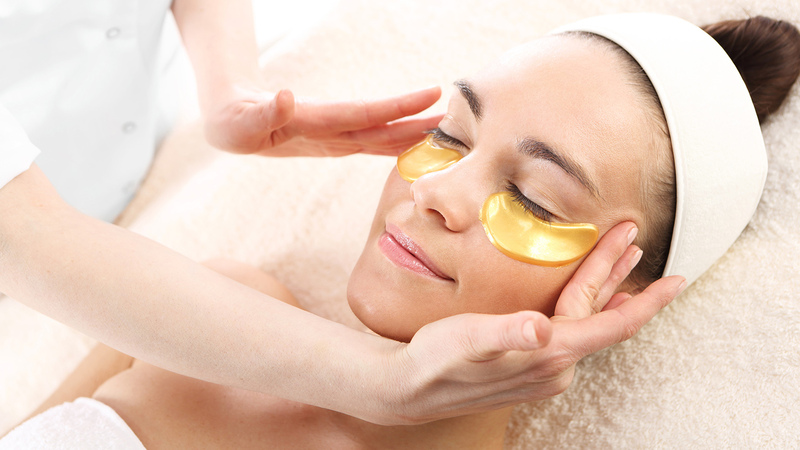 Usage: The instructions say to massage the mask over your clean face, neck and chest and leave on for you to 10 minutes. I used a foaming cleanser, patted my skin dry and then applied the peel. It felt cool and maybe a little tingly on my skin – but not so much that it was uncomfortable. I sat down for 10 minutes and then wiped it off with a warm cloth. To finish up, I applied a serum and a moisturiser. Effects: The effects were a little bit slow to show, I needed to use the mask for a couple of weeks before I saw a real difference. After three or four uses my skin felt softer, smoother and my blemish scarring was less angry and red. Value: Peels are expensive. 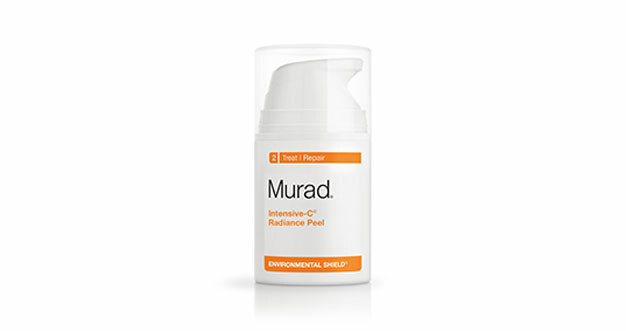 The Murad Intensive-C Radiance Peel is pretty good value for a product that makes a visible difference. The instructions say to use the product once or twice a week, so the 50ml pot will last quite a while (I’m at week four and it’s still going strong). Verdict: Would I use it again? Yes, when my skin is being problematic or I have an event I want to look my best for. It felt a bit too intense for me to want to use it continuously.